PGA cheered the Tampa Bay Lightning on to a 5-1 victory over the Ottawa Senators on Saturday. 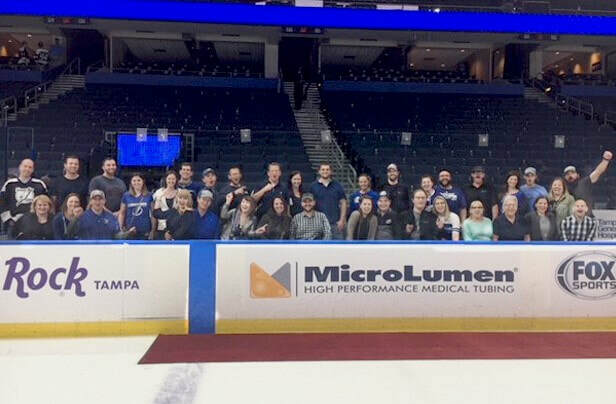 It was PGA's first family event of 2019 and everyone had a great time - even took a group photo on the team's bench! 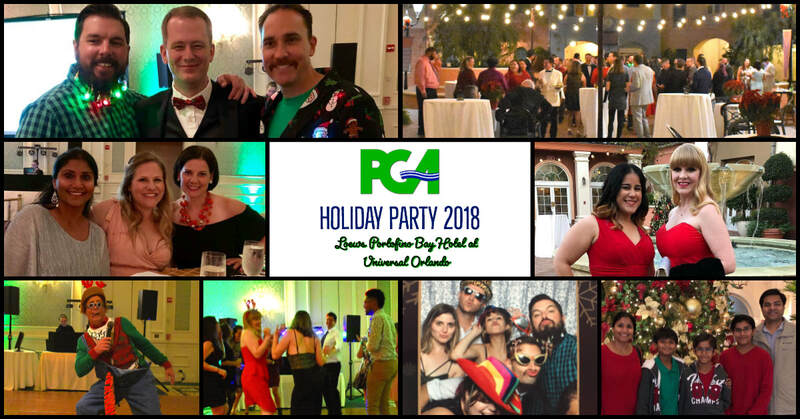 PGA employees and invited guests enjoyed a night of dancing, karaoke, and live music on a piazza as they celebrated the hard work they accomplish in 2018. PGA employees and invited guests enjoyed a much needed night out at Topgolf (Tampa)! We had a great time golfing, enjoying the buffet, and some late night karaoke! 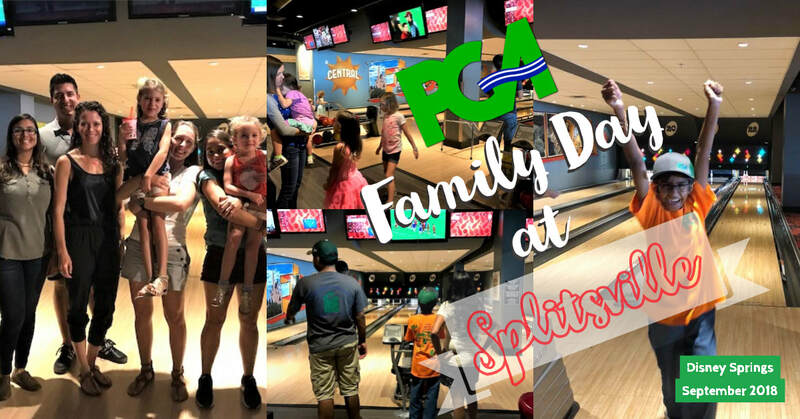 PGA had a blast bowling with our friends and families at Disney Springs, Splitsville! PGA had a fun time watching the Rays beat the Red Sox while enjoying time with friends and family. 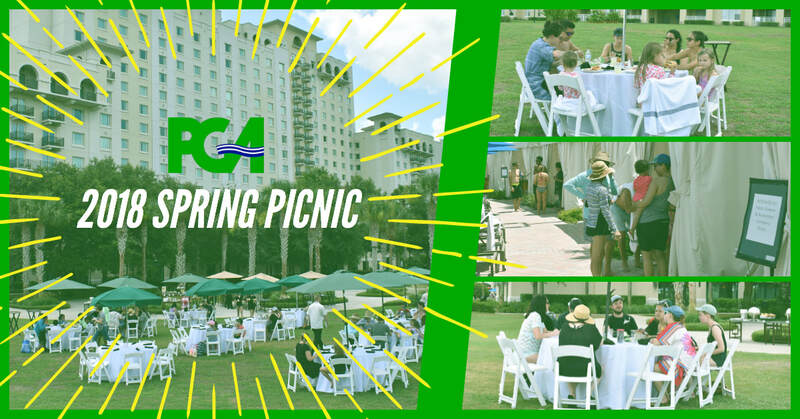 PGA celebrated our Spring Picnic at the Omni in Orlando. It was a fun day of food and fellowship with all of our families. 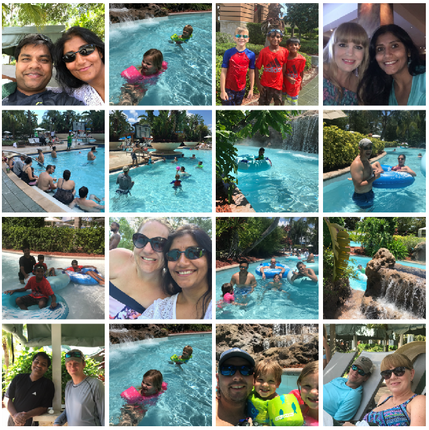 PGA employees and their families enjoyed a relaxing weekend that included a picnic lunch, an afternoon of hanging out by the pool and floating down the lazy river. PGA employees and their guests enjoyed an evening of great food and drinks at Ulele. Thank you to everyone for all of your hard work! PGA employees and their guests attended the USF Bullarney Carnival event. The evening included food, drinks, music, a silent auction, drawings, games and a casino. The Bullarney event is USF Engineering Alumni Society’s largest fund-raiser. PGA employees and their guests enjoyed a year end celebration at the Royal Pacific Resort. After seeing the Blue Man Group show at Universal CityWalk, everyone enjoyed dinner at Emeril's Tchoup Chop. ​Thank you to everyone for a great year! PGA employees and their families enjoyed the day at the Florida Aquarium. Everyone also had a great time looking for dolphins and other wildlife while on the Wild Dolphin Cruise. 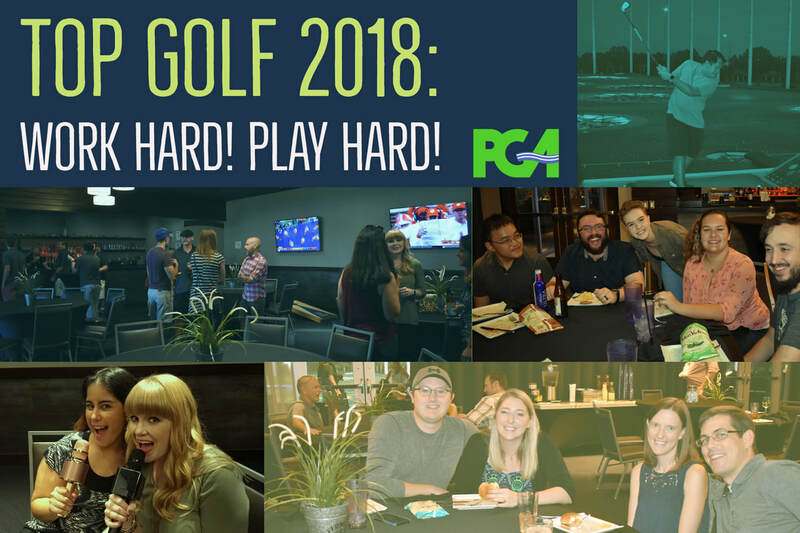 PGA employees and their guests enjoyed an evening of competition and karaoke at Top Golf! PGA employees and their families enjoyed an afternoon of bowling and billiards at Channelside Splitsville. Go PGA! PGA employees and their guests attended USF Alumni Night and enjoyed an evening of baseball at Tropicana field. The Rays sent the Yankees to their third straight loss; final score: 6-3. PGA employees and their families enjoyed a relaxing BBQ lunch and day of fun at the beach at the Tradewinds Resorts and Alden Beach Resort in St. Petersburg, FL. PGA employees and their families enjoyed an evening of arena football at Amalie Arena (Tampa Bay Storm vs the Los Angeles Kiss). PGA employees and their families enjoyed a great day of outdoor fun at Lowry Park Zoo. PGA employees and their guests celebrated the 20th anniversary USF Bullarney. The evening included food, drinks, music, a silent auction, drawings, games and a casino. The event helps provide scholarships and grants for USF engineering students and ensures that the engineers of tomorrow are getting the best educational opportunities during their time at USF. PGA employees and their guests enjoyed a year end celebration in Disney Springs / Orlando, FL. After seeing the Cirque du Soleil LaNouba show, everyone enjoyed dinner at The Boathouse restaurant in Disney Springs. PGA employees and their guests enjoyed an exciting game between the USF Bulls and Cincinnati Bearcats. USF posted its highest scoring total ever against a FBS opponent, blowing out Cincinnati (65-27)! Go Bulls! PGA employees and their guests enjoyed an evening of fun and competition at Top Golf! PGA employees and their families spent the afternoon bowling and cheering on their teammates! 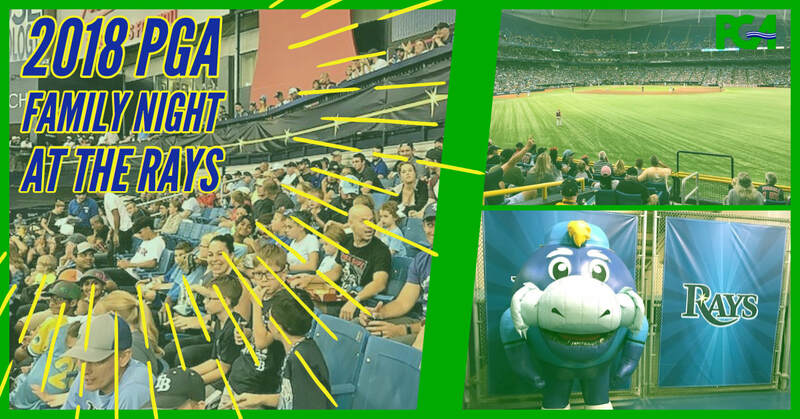 PGA employees and their guests attended USF Alumni Night and enjoyed an evening of baseball at Tropicana field. PGA employees and their families enjoyed a day of fun at Lowry Park Zoo.